Set of three eco-friendly mechanical pencils made from recycled PET in assorted colours. Includes back up leads. 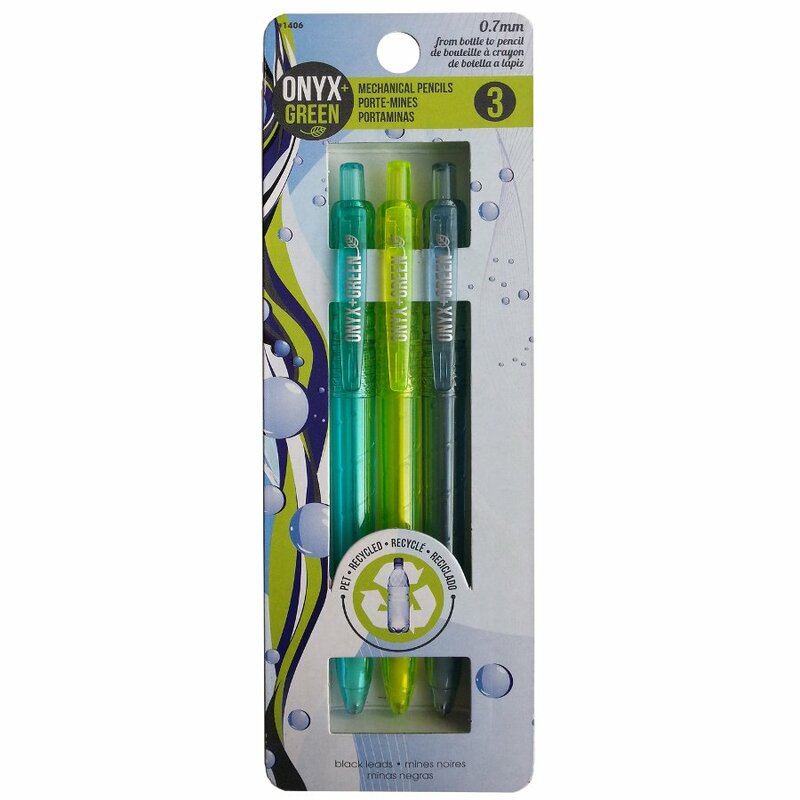 The Recycled 0.7mm Mechanical Pencils - 3 Pack product ethics are indicated below. To learn more about these product ethics and to see related products, follow the links below. There are currently no questions to display about Recycled 0.7mm Mechanical Pencils - 3 Pack.